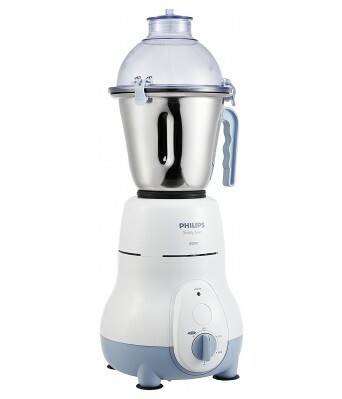 Prepare those tasty homemade dishes and fresh fruit juices with this super silent Philips mixer grinder. 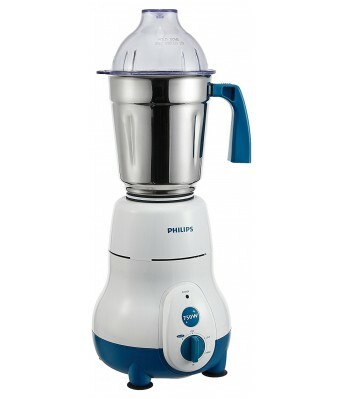 With a fresh design, the Philips mixer grinder is compact and innovative. 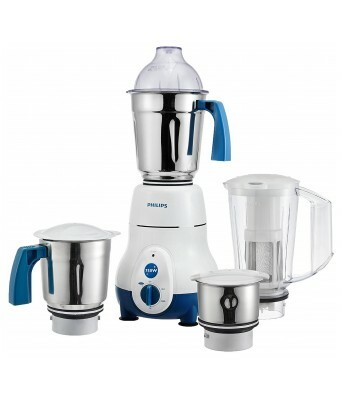 It comes with a wet jar, multi-purpose jar, chutney jar and a blender. 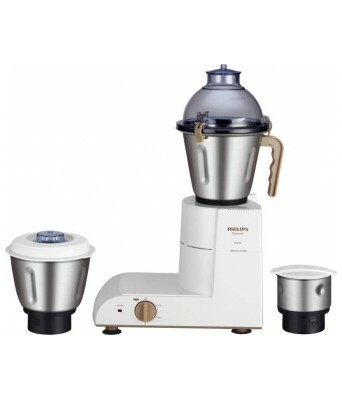 The lift and grind blades are made of stainless steel and ensure consistency in grinding. 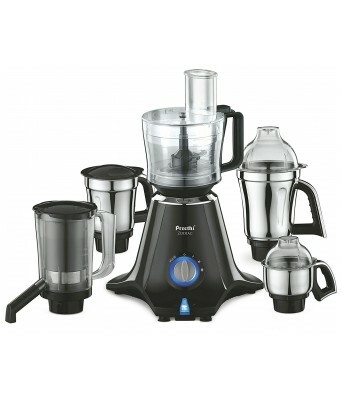 The Revers Quadra Flow jars ensure that the ingredients do not stick to the walls. 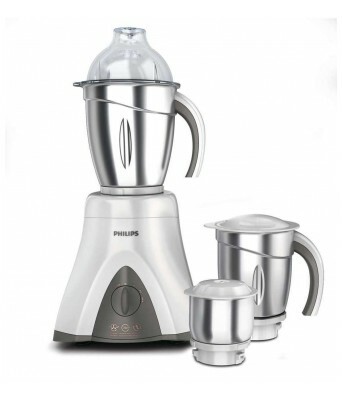 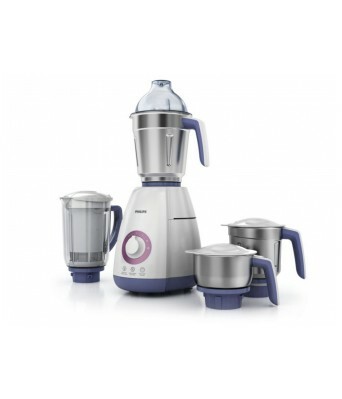 This powerful mixer grinder by Philips offers 3 speed settings and pulse. 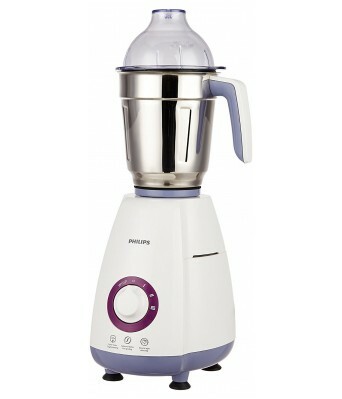 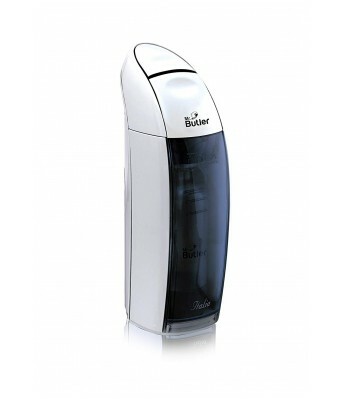 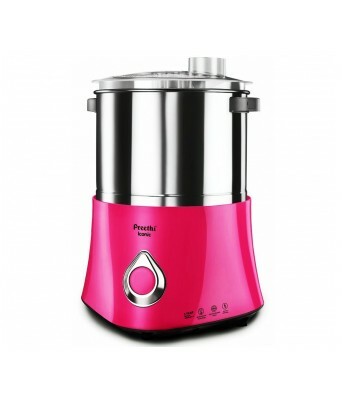 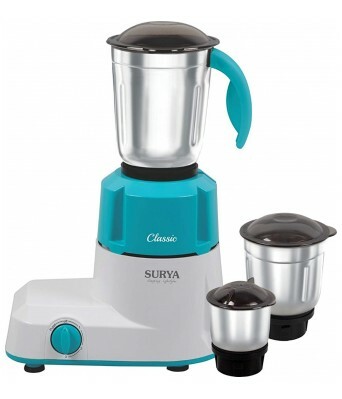 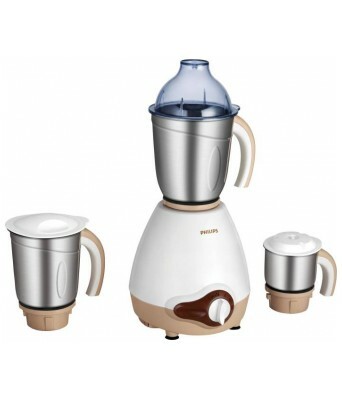 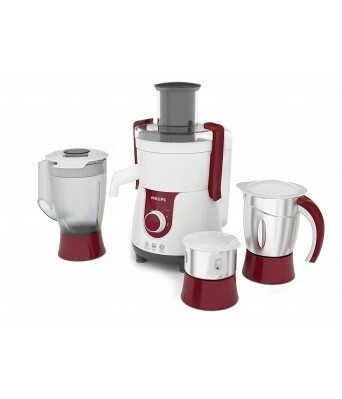 The wet grinding jar and the blender has a capacity of 1.5L while the multi-purpose jar has a capacity of 1.25L. 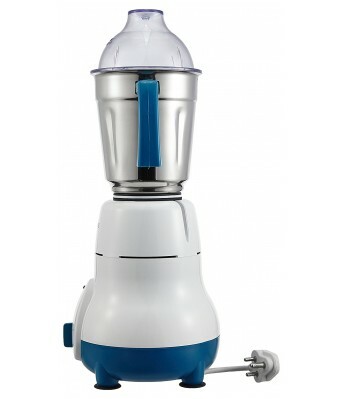 The chutney jar comes with a capacity of 0.5L. 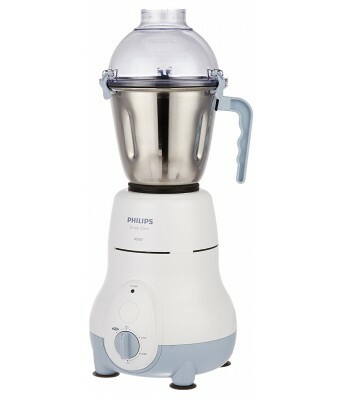 With minimal noise and consumption of only 750 Watts of power, this Philips mixer grinder comes with a powerful motor which is tough on all types of food. 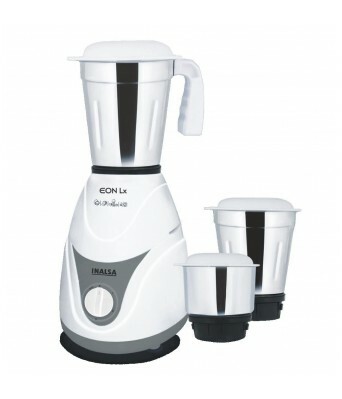 For added safety and stable operation, the mixer grinder has non-slip feet and auto shut-off feature. 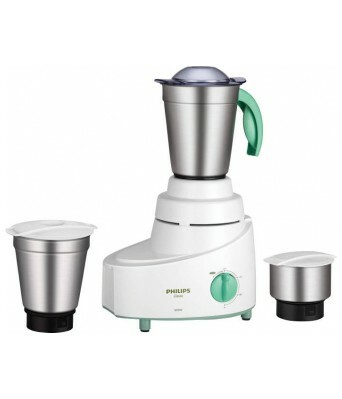 The auto shut off helps to override overload issues.